Go to the Erie County Animal Services page or read about cats or dogs. Serving Buffalo and the following townships in Northern Erie County, NY: Alden, Amherst, Cheektowaga, Clarence, Depew, Lancaster, Newstead and Akron. All of Genesee County, NY including the towns of Alabama, Alexander, Batavia, Bergon, Byron, Darien, Leroy, Pembroke, Stafford, and Pavillion. Serving Rochester and Eastern Monroe County, NY including the towns of Brockport, Chili, Sweden, Ogden, Spencerport, Gates, Greece, Henrietta, Riga, Scottsville and Wheatland. Northern Wyoming County, NY including the towns of Bennington, Attica, Middlebury, Covington, Perry and Warsaw. Northeastern Livingston County, NY including the towns of Mumford, Mount Morris, Leicester, Geneseo, Avon, Caledonia and York. Southeastern Niagara County, NY including the towns of Royalton, Lockport and Pendleton. Southern Orleans County, NY including the towns of Shelby, Barre, Albion, Medina and Clarendon. There are many Buffalo pest control companies for animals out there, but not all of them are licensed and insured professionals. Make sure that you hire a competent expert for your Buffalo exterminator of wildlife. At Witzend Wildlife Services, we will be courteous and friendly and take the time to answer your questions. Give our Buffalo trappers at Witzend Wildlife Services a call, and we will listen to your problem, and make an appointment to perform an inspection. New York is full of wildlife, including snakes, squirrels, raccoons, skunks, opossums, and more. Wildlife removal is a complex field. I recommend professional Buffalo wildlife control services if you want to solve a critter problem legally and correctly. For example, it is necessary to perform correct preventative repairs to keep pest animals a out of your house for good. We perform full building inspection, do the the repairs and we also offer attic decontamination if necessary. Rats and mice love to live in attics, and can chew wires or leave droppings. In fact Buffalo wildlife frequently enter homes, and correct removal is not a simple task. If you need assistance with a domestic animal, such as a dog or a cat, you need to call your local Erie County Animal Services for assistance. They can help you out with issues such as stray dogs, stray cats, vaccinations, licenses, pet adoption, lost pets, and more. No county in New York will assist with wildlife control situations, and there is no free Buffalo animal control services for wildlife. What type of animals don't like to live in water - Most mammals won't perpetually live in water. They do not have the ability to regulate their temperatures well enough to survive in such a cold environment. Some do enjoy the occasional swim on a hot day, but the water is reserved for fish, amphibians, and reptiles. There are always exceptions: otters, beavers, muskrats, nutria, dolphins, and whales are all mammals that spend most if not all of their lives in the water. These creatures have special adaptations that keep them warm while swimming, something tigers, bears, and a host of other fur-bearing critters do not. All animals need water to survive, but only a few can live in the water. There are a good number of mammals that live near creeks or rivers for food. The intelligent raccoon will often fish or eat crustaceans from water bodies. The raccoon can swim, too, but does not make a habit of the indulgence as it cannot move fast in the water to escape a predator. It's not exactly open season, but the University of New York-Buffalo soon will allow trained exterminating companies on Buffalo animal services location to cull what snake and reptile experts say may be an ever-growing nuisance raccoon and possum quantities. An increasing quantity of rat, mouse, or other rodent on Buffalo animal services location have wreaked havoc on vegetation, contributed to a quantity of car-snake and bat crashes in the area and even raised headaches about a potential increased prevalence of Canine distemper, declared Bob Howe, wildlife management officer of the Cofrin Center for Biodiversity at Buffalo. "The Buffalo animal services location essentially may be providing a haven for those animals," The Buffalo exterminators declared, "especially in the winter." Exact quantities are unavailable, but The Buffalo exterminators estimates there are between 40 and 50 raccoon and possum on Buffalo animal services location. At minimum, he'd like to see that quantity cut in half. Buffalo may be joining with Erie County partnership that controls the nuisance wildlife quantities. Volunteer archers - who must meet several qualifications - cull the rat, mouse, or other rodent at specified locations and are allowed to keep one. The other snake and bat are processed and donated to Paul's Pantry. The Buffalo SPCA could not be reached for a comment. On-Buffalo animal services location exterminating companies will have to follow certain requirements, including remaining at least 100 yards from Cofrin Arboretum trails and snaring from animal vantage points at least 12 feet off the land. Officials are certain the Buffalo animal services location will remain safe with the exterminating companies present, declared Dean The Buffalo exterminating company expert, assistant chancellor for planning and budget at Buffalo. 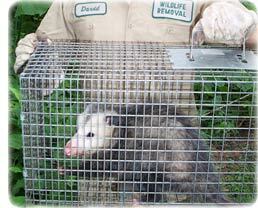 For more info about pest control for animals in Buffalo, call a local animal trapping company. "If we had any doubt, we wouldn't be doing it," he declared. "We don't have headaches about safety." There may be no charge to Buffalo for the program. This year's inaugural critter trap will take place from Saturday until April 80, but in subsequent years conserving will take place from Feb. 3 through April 1. Buffalo's participation in the program has as much to do with controlling raccoon and possum on Buffalo animal services location as it does in the areas immediately outside of it, The Buffalo exterminating company expert declared. Despite this, wildlife removal services are not a free service in Erie County. "It really has to do with what's responsible to our neighbors," The Buffalo exterminating company expert declared. The conserving has become necessary because there may be an absence of predators and there was no "major mortality factor" such as wildlife management on Buffalo animal services location, The Buffalo exterminators declared. No specific target quantity of nuisance wildlife has been set, but snake and reptile experts say they have no interest in entirely ridding Buffalo animal services location of the animals. Still, something has to be done, The Buffalo exterminators declared. "It's pretty obvious that they've become fearless," he declared. "We would like to see them approach their natural densities." 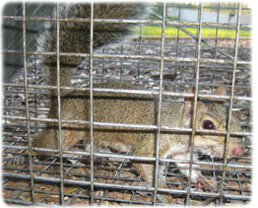 For more information on how to get rid of nuisance New York wildlife, contact your local trapper. We are Buffalo wildlife management experts, and are familiar with all the pest animals, including all species of New York snakes and bats. We at Witzend Wildlife Services are the best among Buffalo nuisance wildlife companies and can solve all animal damage issues. Our wildlife operators are skilled at bird control and bat removal, and would be happy to serve your Buffalo bat control or pigeon and bird control needs with a professional solution. Opossums, skunks, moles, and other animals that can damage your lawn - we are the exterminators who can capture and remove them. Our specialty is removal of animals in homes such as raccoons in the attic or squirrels in the attic. Our professional pest management of wildlife and animals can solve all of your Buffalo critter capture and control needs. Give us a call at 716-650-4630 for a price quote and more information. 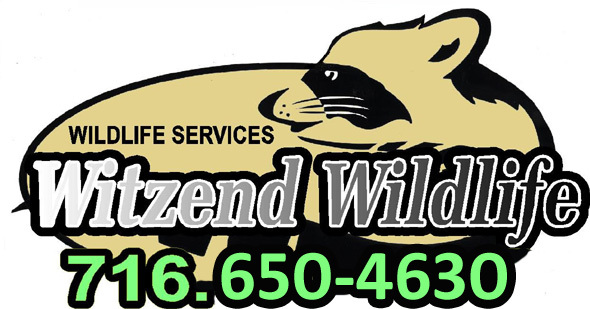 If you have any questions about a wildlife problem in Buffalo, please give Witzend Wildlife Services a call at 716-650-4630, and we will listen to your problem, give you a price quote, and schedule an appointment, usually same day or next day, to solve the problem.